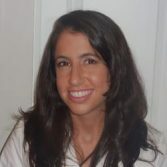 Dr. Elizabeth Elstein completed her undergraduate studies at Binghamton University with a Bachelor of Science degree in biology where she made the Dean’s List. She graduated from Stony Brook School of Dental Medicine in 2007 with a Doctor of Dental Surgery degree and won multiple awards including the American Student Dental Association Award of Excellence. She completed her residency training in general dentistry at Montefiore Medical Center in the Bronx, NY. Dr. Elstein is a member of the American Dental Association, New York State Dental Association and the American Association of Women Dentists.